To learn more about why some germs seem harder to kill in near-weightless conditions, scientists aboard the ISS recently doused a batch of bacteria with antibiotics—an experiment which resulted in a series of startling physical changes that may be helping the bacteria to survive and thrive in space. Whether we like it or not, bacteria are going to be our partners as we venture out into space. It’s imperative, therefore, that we learn as much about these microorganisms as possible in the event an astronaut develops a life-threatening infection, or to prevent problematic “biofilm” formation inside the ISS and other spacecraft (such as a ship en route to Mars). As previous studies have shown, bacteria behave differently in space, in some cases acquiring mutations that make them better at reproduction and more resilient to the effects of antibiotics. A new study published in Frontiers in Microbiology is the first to track the physical changes in bacteria, specifically the E. coli strain, after exposure to antibiotics. The new research is providing fresh insights into how bacteria adapt to antibiotics, and it’s helping scientists find ways to thwart their high degree of adaptability. 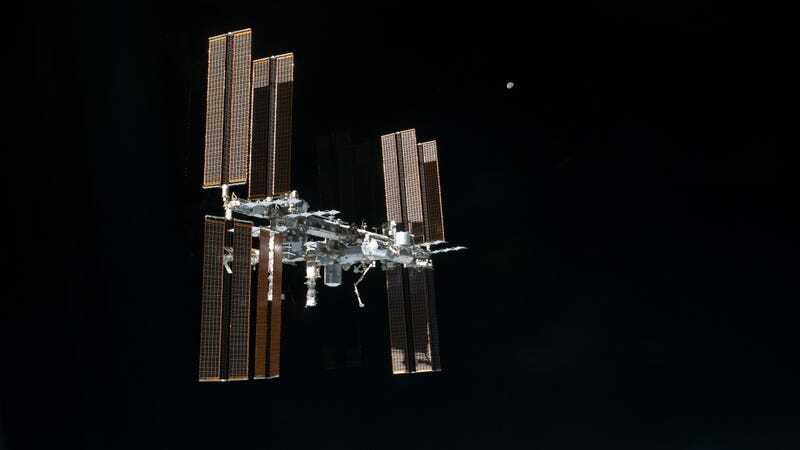 In an experiment conducted aboard the ISS, researchers with CU Boulder’s BioServe Space Technologies exposed cultures of E. coli bacteria with various doses of the antibiotic gentamicin sulfate. On Earth, this antibiotic kills bacteria with relative ease, but as this experiment demonstrated, it’s a different story up in space. Instead of destroying the culture, exposure to gentamicin sulfate resulted in a 13-fold increase in bacterial cell numbers and a 73 percent reduction in cell volume size, as compared to a control group treated similarly on Earth. This dramatic shapeshifting, say the researchers, is likely helping the bacteria to survive. For one, the significant decrease in the bacteria’s cell surface area decreases the rate at which molecules can interact with it. This effectively makes the bacteria more impermeable to foreign substances, such as antibiotics. In addition, the cell walls and outer membranes of the bacteria got noticeably thicker, which likely conferred even further protection. The bacteria also grew in clumps, which the researchers say is a possible defensive measure where the shell of the outer cells are used to protect the inner cells from the antibiotics. Finally, some E.coli cells produced small capsules, known as membrane vesicles, on the outside of their cell walls, which could in theory help to facilitate the infection process. Which is a good point. Not only can this study help us figure out new ways to protect astronauts in space, it could also tell us something about how bacteria adapts to antibiotics in normal gravity conditions. By analyzing their strengths, we can also find their weaknesses.